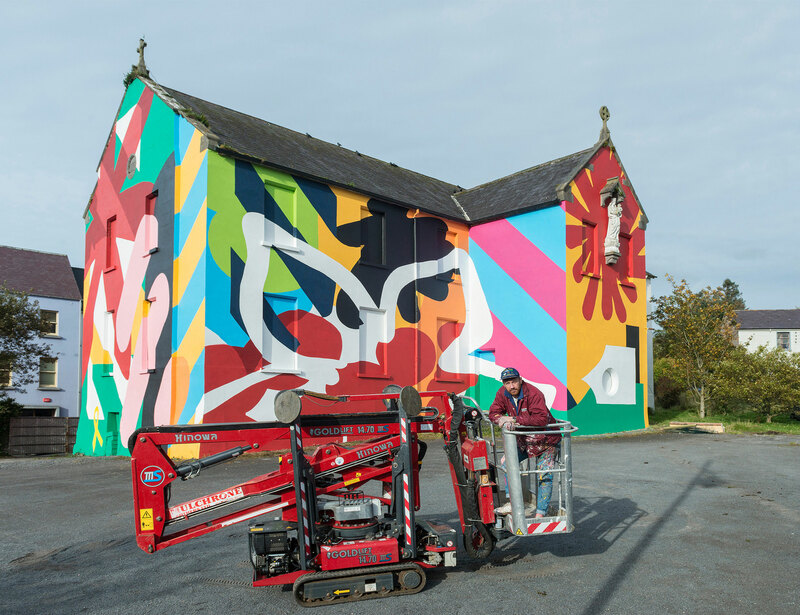 A newly completed ArtWork by the artist known as Maser for this years Westport Arts Festival. The canvas for the new work, his biggest piece in the West of Ireland is a derilict Convent of Mercy building in the town of westport. The project was made possible by Portwest, Albany Paint and Mayo County Council.